Learn more about facilitation, strategic planning, and consulting – for FREE and conveniently from your own desk. These 60-minute sessions are full of energy and extremely interactive. You will discover practical facilitation frameworks and techniques – plus a preview of what our dynamic classroom training is like. Sign up below! Internet Explorer Users: If you are experiencing difficulty registering for a webinar using Internet Explorer, please try registering on another browser such as Chrome or Firefox. You will receive a confirmation e-mail after successfully registering. Can’t make it to a live session? Most tell us our LIVE webinars are far more engaging and interactive with helpful Q&A opportunities, but you are welcome to see our webinars on demand. Click on any webinar title below to view the full description. At some point, even experienced trainers, facilitators and managers find themselves standing before groups whose dynamics are all over the board. Everyone is expressing an opinion, ideas are flying at warp speed, emotions are high, disagreement is rampant, and some people are shutting down while others are rebelling against the process. Wouldn’t it be great to have the tools that allow you to regain control and confidently lead the group to effective results every time? Join us in this free, 60-minute webinar and learn practical facilitation techniques to elevate your group handling skills and help you achieve amazing organizational results. Whether you facilitate meetings like strategy sessions, focus groups, executive sessions, community gatherings or task forces, this webinar will give you a comprehensive approach for working with any type of group. You will discover the facilitative approach that is proven to work in critical activities like strategy development, issue resolution, requirements analysis, process improvement, action planning, and more. **This web seminar was adapted from The Effective Facilitator – the first course accredited for covering the 30 Certified Master Facilitator (CMF) competencies. IDEAL FOR: Training and HR Professionals, Consultants, Facilitators, Functional Team Leaders/Managers, Executives, Project Managers, Sales Professionals, Analysts, and more. As a leader, you understand how important a strong strategic plan is to the success of an organization. But, any plan is only as good as the information you use to build it, and it will only go as far as the team will take it. This is why your role as the facilitator is so crucial during strategic planning. The facilitator must know the critical components to include in a strategic plan, how to guide the strategy team easily through the planning process, and how to build the team’s buy-in and commitment to implementing the plan. It’s a big task, but it doesn’t have to be overwhelming. IDEAL FOR: Professional facilitators, organizational leaders, and representatives of all types of organizations – non-profit, government, and commercial – seeking to develop viable action plans for accomplishing growth objectives or improving current processes. Even experienced trainers at one time or another find themselves standing before groups whose dynamics are all over the board. Wouldn’t it be great to have the tools to regain control of the room every time? Everyone has an opinion, ideas have to be handled, varying learning styles must be taken into account, and you’ve got to delineate difficult questions being thrown at you at warp speed. How do trainers handle these challenges in an efficient, effective and enthusiastic manner? In this 90-minute webinar, we introduce you to a training approach you can use right away – the facilitative approach to training. Learn about cutting-edge tools designed to make sessions even more engaging. These proven techniques will transform the way audiences receive and apply your training material. Whether you are a training manager or consultant, a subject matter expert who relays information, or someone who regularly leads training sessions, this webinar will give you a comprehensive approach for powerfully influencing group learning. Becoming a Certified Facilitator – Is Certification Right for You? Are you a seasoned facilitator looking to set yourself apart from the crowd? Have you considered getting certified, but aren’t really sure if facilitator certification is right for you? Prior to the session we encourage you to review the details about Master Facilitator Certification, and the Certified Master Facilitator FAQ’s. “Why is it so hard to get a plan executed?” Have you asked this same frustrating question when it comes to strategic planning at your organization? As a leader, you’ve likely experienced pitfalls when it comes to executing a strategy that ends up failing – instead of taking your organization to the next level. Register for this webinar to examine what those execution pitfalls are and what to do about it. For those that attend the webinar and complete the short survey at the end, you will receive a white paper explaining Leadership Strategies’ proven planning methodology, the Drivers Model. Whether you’re an independent consultant, internal project manager or business service provider, the ultimate goal is the same – client satisfaction. You must maintain trusting relationships with internal customers and senior managers, understand their business needs, recommend powerful solutions, and inspire your project team to remain committed and take ownership. In this 90-minute webinar, you’ll receive an overview of our structured framework for effective consulting with client handling strategies and facilitation techniques for meeting challenges at each stage of the consulting process. Whether you’re a consultant or an individual whose role requires a consultative style, this webinar will give you a comprehensive approach for increasing client satisfaction. Virtual meetings are the norm today. Sure, you may know how to facilitate group meetings, but how are your virtual facilitation skills? Do you know how to use technology effectively to achieve maximum group results even when you’re not in the same room? How do you minimize the common challenges? Facilitation skills are essential to keeping your group engaged in virtual meetings. Too often, participants face the glaring temptation to multi-task behind the scenes. Dysfunction may erupt and slow down the productivity of a group without your knowledge. Participants feel they are either limited or without structure, process, or tools necessary to conduct work and make critical decisions. How do you, as the meeting facilitator, rally the group to deliver results when you encounter these challenges? 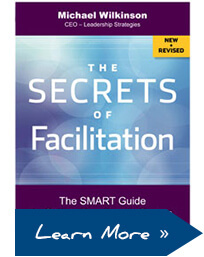 In this 90-minute webinar, learn how to adapt facilitation skills to the virtual environment. Discover critical components of virtual facilitation, how to overcome common dysfunctions in virtual meetings, and ways to accomplish full group participation – as if you’re in the same room. *This webinar was adapted from our courses, Facilitating Virtual Meetings: Essentials and Facilitating Virtual Meetings: Comprehensive. Subscribe to our webinar invites.